The Martyred President: A Sermon Preached in the First Presbyterian Church, Brooklyn, N. Y.
Sermon preached by Rev. Chas. 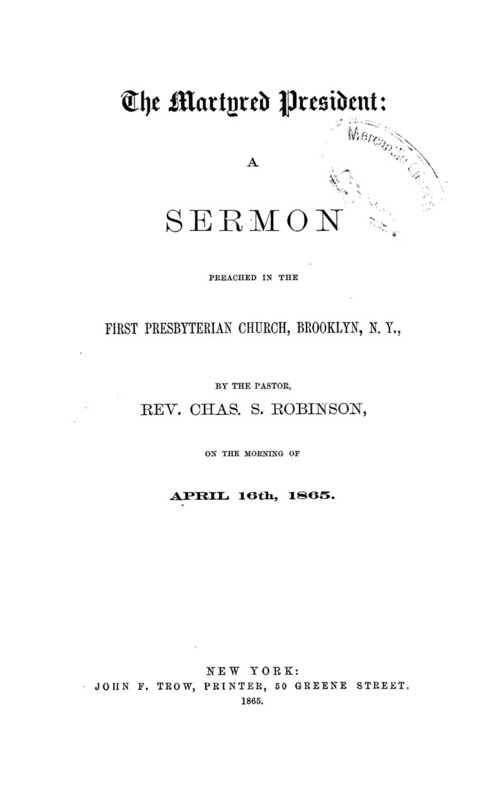 S. Robinson in the First Presbyterian Church, Brooklyn, New York.